It took me a while to decide what to name this tahini recipe. I wanted to come up with something cool and catchy to get your interest right at the get-go. But then I realized something. 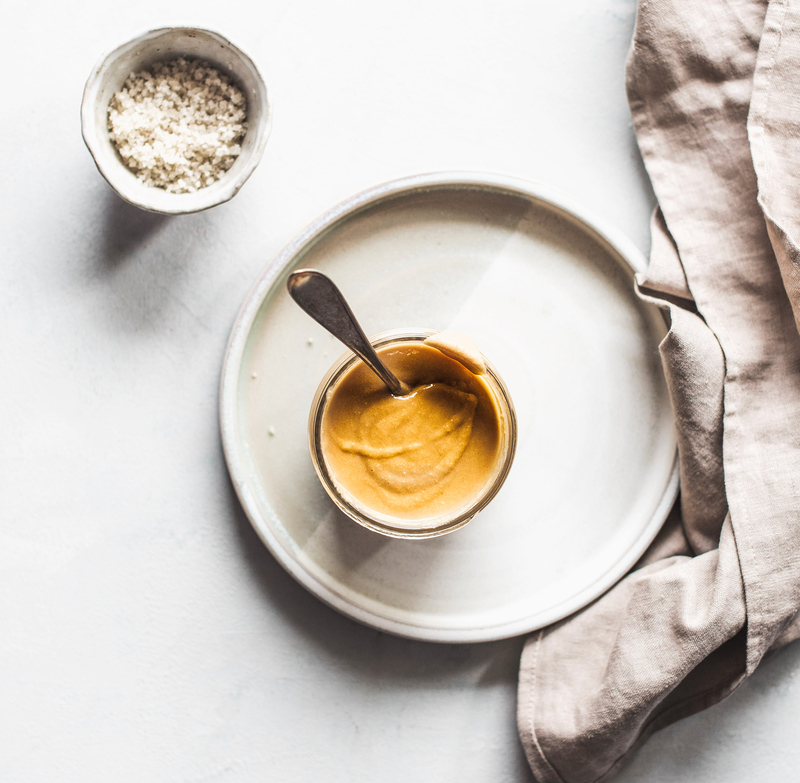 We probably only ever need one tahini recipe up our collective sleeves at any given time, especially if it yields The Perfect Tahini. And this one is just that; perfect the way it is. No muss, no fuss. So why bother calling it anything other than what it is? A spade’s a spade after all. Well, I will say one thing about it: the most you will fuss about this “recipe” is whether or not to toast the sesame seeds before you go to blender town with ‘em. Spoiler alert: both versions are great. In short, this is a simple 3-ingredient condiment you can make at home in about 5 minute’s time. 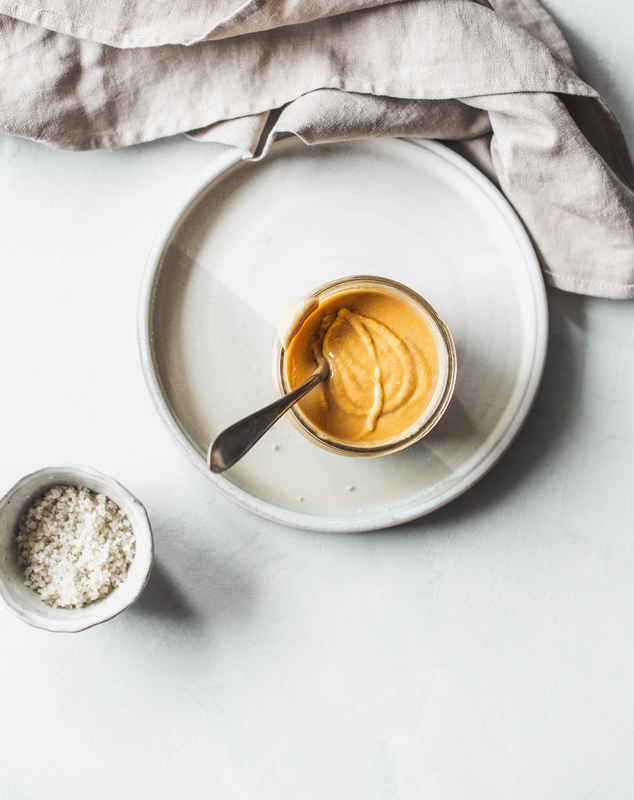 And you should be making tahini at home, not only because it’s extremely cost-effective to do it this way, but because it tastes even better than store-bought. Buy raw sesame seeds in bulk for a fraction of the cost of a tiny little bottle from your spice aisle. The fancy organic tahini I was buying at the store ran me nearly $10 for a pint. I can make that at home for a fraction of the cost. Like, $2 or something (next time I’m refilling sesame seeds, I’ll figure out the actual cost… but it’s ridiculously cheap). 4 cups of raw sesame seeds yield roughly a pint (2 cups) of tahini. This will last you quite a while, and it keeps great in the fridge. Tahini can be used for more than just hummus! I’m playing around with a number of recipes but right off the bat, I think it works great in both sweet and savory dishes. Think creamy tahini noodles, a warm bowl of oats with tahini, honey and a dash of sea salt. Heck, I even throw it into my smoothies. It goes really well with apples. I eat tahini much like other people might eat almond butter or peanut butter. (Spread it on some fresh apple slices with a drizzle of honey and a pinch of sea salt? Yes, please!) Because of my peanut allergy and almond sensitivity, I generally stay away from most nut butters. I can safely eat cashews (thank goodness) and walnuts, so those are the nuts I usually keep in my pantry. I’ve not made a cashew butter I was a fan of. Too sweet. It’s okay though, I make milk and cream from cashews so they are still extremely versatile in my house. And walnut butter? Meh, not sure. Probably wouldn’t try it. Method 1: Preheat oven to 350 degrees. Spread sesame seeds evenly on a rimmed baking sheet. Toast in the oven until they are slightly browned and fragrant, stirring them frequently. You’ll want to stir them every 3-5 minutes or so to keep from burning. Remove and let cool before blending. Method 2: Set the sesame seeds in a heavy pan on your stovetop over medium heat. Stir almost constantly and remove when they start to brown and become fragrant. Once your seeds have cooled, add them to a high-powered blender or food processor with a generous pinch of sea salt. Start blending. If you want, but not necessary, add a couple tablespoons of a neutral vegetable oil into the mix (no more than four tablespoons though). This is even better if you’ve got sesame oil, but I usually use grapeseed or canola oil AKA whatever I have on hand. At first, the mixture will appear dry and chunky but keep blending, I promise you it will become smooth as honey. I store my tahini in a glass jar in the fridge and it keeps as long as store-bought. If you’ve stored yours this way and you’ve noticed, after a time, it looks funky or smells funky, or has mold on top, compost it. 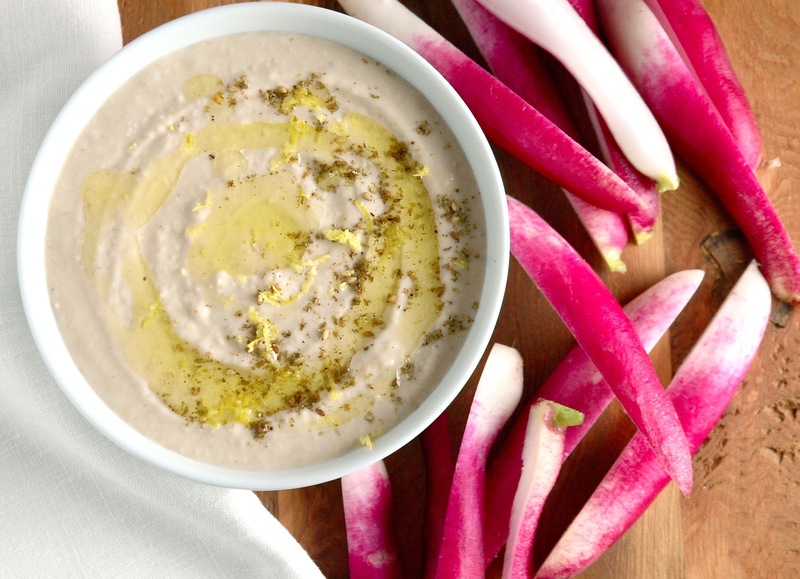 This is called The Perfect Tahini recipe for a reason. 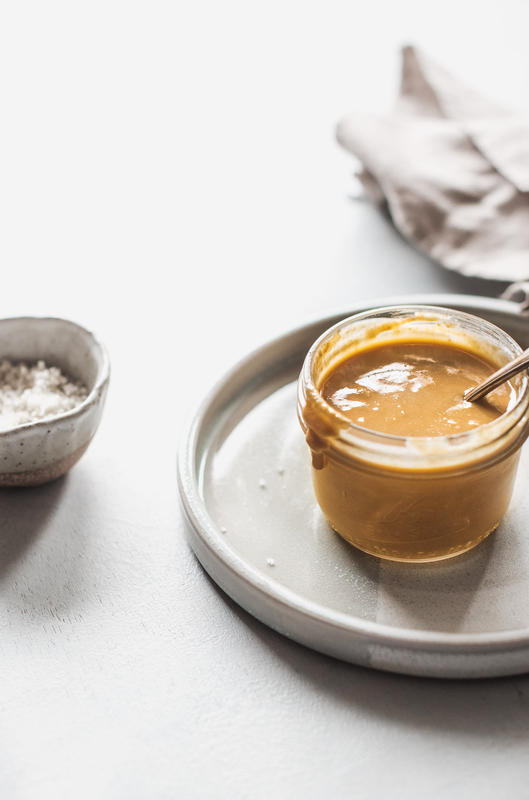 With only 3 ingredients and barely any prep or cook time, you can have perfect homemade tahini. Toast sesame seeds according to methods #1 or #2, above. Once seeds have cooled, place in a high-speed blender or food processor with sea salt and oil. Blend on high until smooth and buttery, scraping down the sides as necessary.